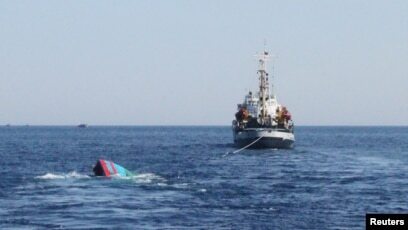 FILE - A Vietnamese boat (L) which was rammed and then sunk by Chinese vessels near disputed Paracels Islands in 2014. Vietnam has been working to develop the fishing militia since at least 2009. Over that time, the two countries have been holding talks. Just last week, Vietnam’s Communist Party general secretary met the visiting Chinese foreign minister. The party official suggested “joint safeguarding (of) maritimepeace,” China’s Xinhua News Agency reported. 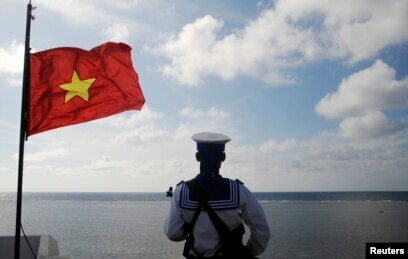 FILE - A Vietnamese naval soldier stands quard at Thuyen Chai island in the Spratly archipelago. Sailors died in clashes between the two countries in 1974 and 1988. 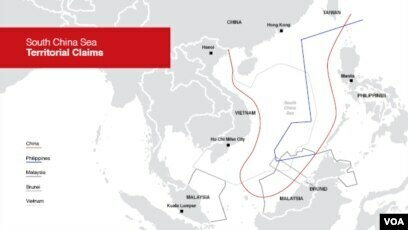 In 2014, the deployment of a Chinese oil rig in the South China Sea caused a boat-ramming incident at sea and deadly rioting in Vietnam against Chinese interests. A Vietnamese fishing militia will not be as large as China's militia, he said, but Vietnam feels it must try.